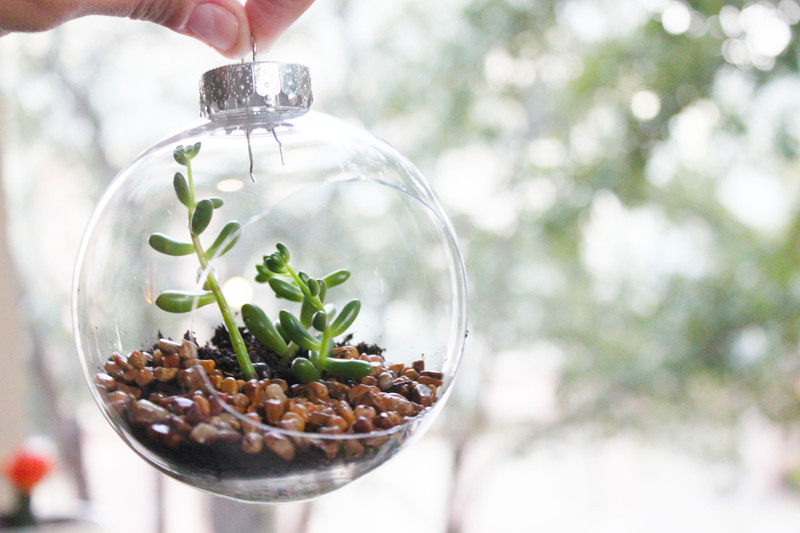 Sensational Succulents for Christmas Ornaments | mrs. and the misc. ← Chilly Weather Calls for Chili…and a DELISH dessert! We’ve seen it coming these last couple years: Succulents have become mainstream. No longer do they flourish in just terra cotta. They can be decorations, wall hangings, or even wreaths. One idea that really caught my eye however, was the succulent ornaments. The ones I came across were made of blown glass globes, and they were on the “pricier” side. So after some thought, I came up with a way to copy the look for less. The time took to create my look: less than 20 minutes. gravel (I scooped about 1/8 of a cup from my fish tank) You could also buy gravel at a gardening store. Take your exacto knife and cut a hole into the side of your plastic ornament. 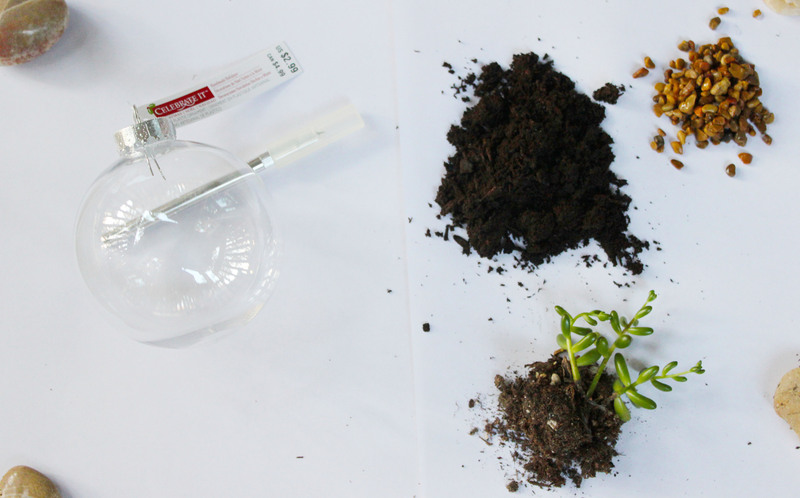 Make sure you do not cut it to low, where your dirt will fall out. Cover dirt with your choice gravel. 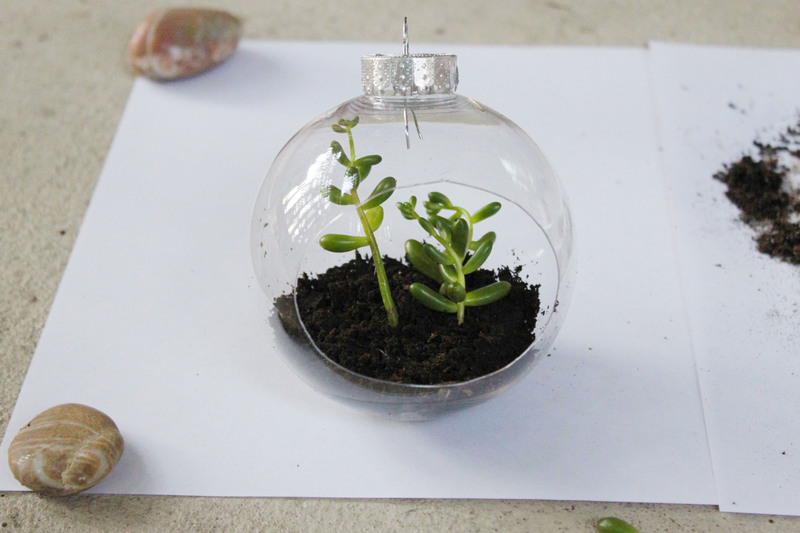 Your finished personal succulent ornament! 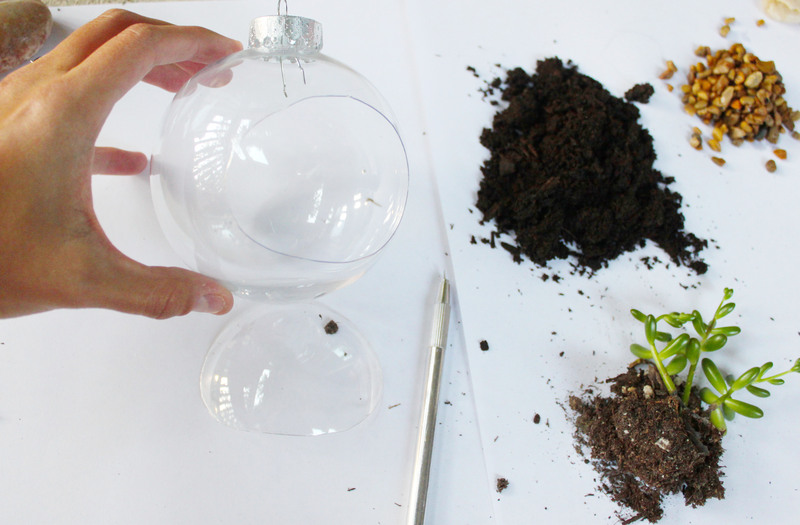 Whether you end up hanging your creation on a Christmas tree, make several and stagger them from a window, or even wrap it up as a unique Christmas present…Be proud of your “green” design! OMG! these are seriously amazing! love love love! 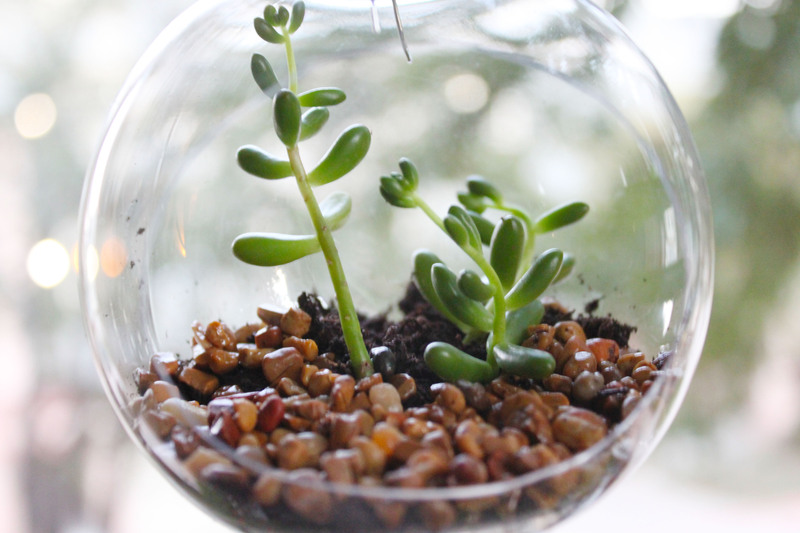 Awww, I’m obsessed with succulents and these are adorable! These are gorgeous! 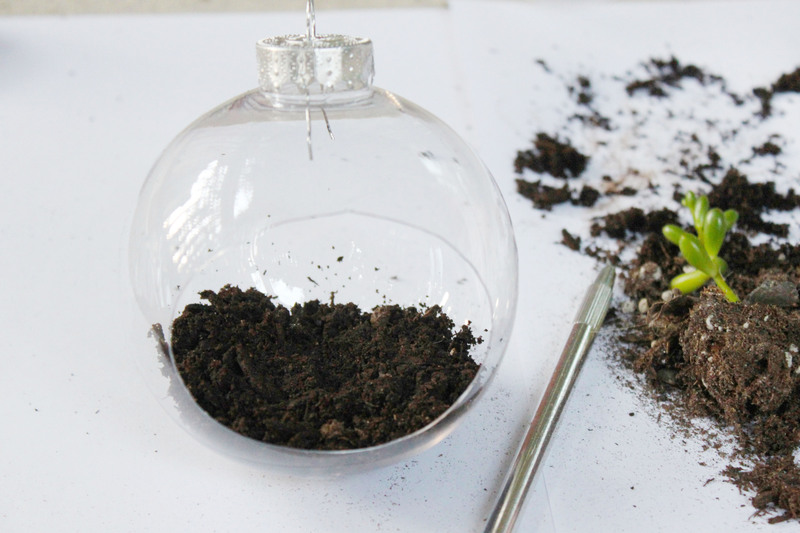 And I’m so impressed with your thrifty alternative for creating these precious ornaments. Thanks for visiting my blog today. It allowed me the privilege of checking out the amazing projects on your site. Following you now in bloglovin’. OMGosh! I love these! They would make a perfect Hostess Gift! Thank you for posting this.